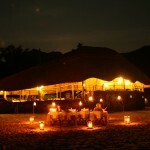 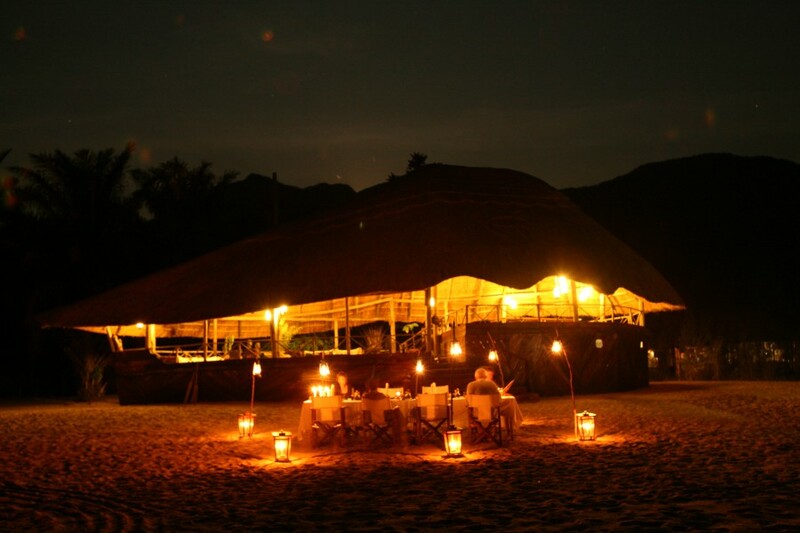 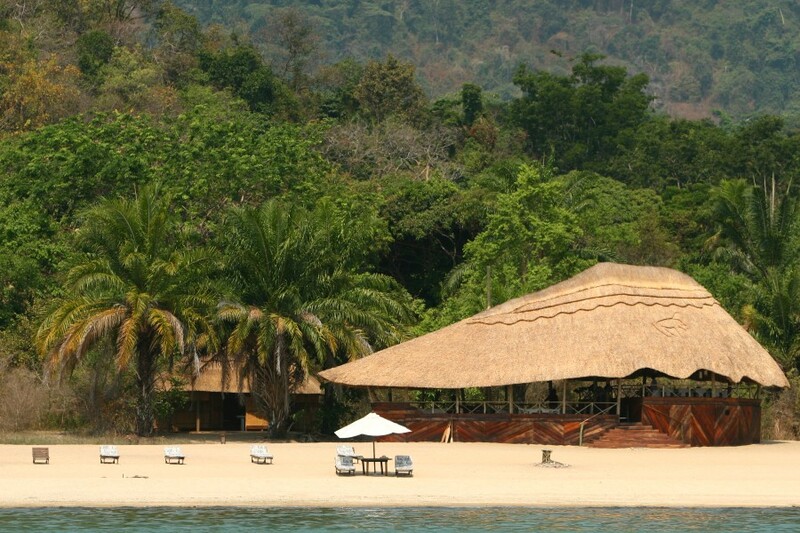 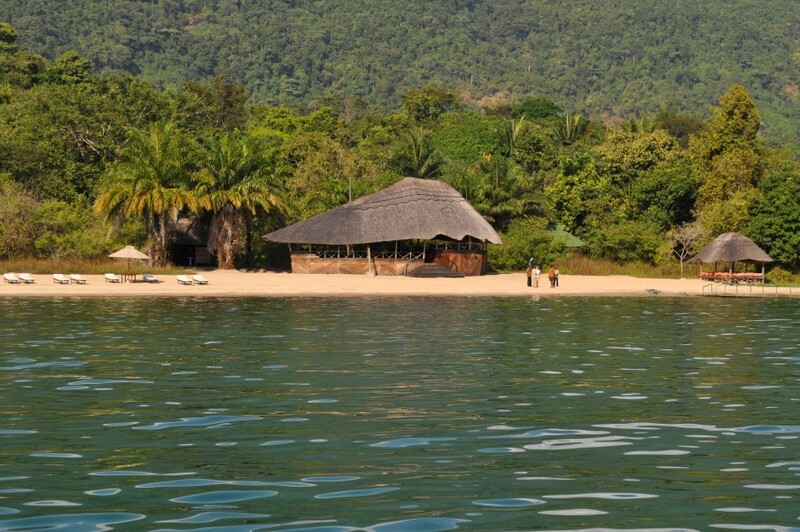 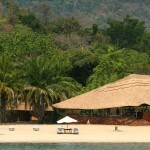 Location: Kungwe Beach Lodge is situated on a stretch of golden sandy beach and overlooking the crystal clear waters of Lake Tanganyika, with breathtaking sunsets. 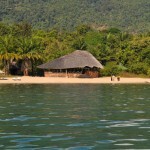 It is 4 hours by speedboat to Kigoma town and 4 hours by scheduled charter flight from Arusha. 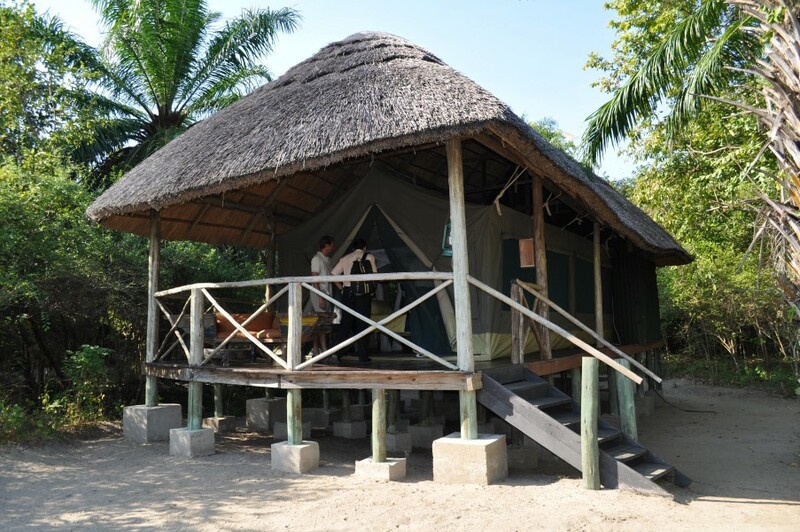 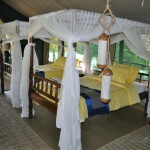 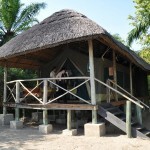 Accommodation: Kungwe Beach Lodge has a total of 10 light, airy and spacious tents (7 doubles, 2 twin, 1 triple) built on raised wooden decks, furnished in the traditional safari style with comfortable beds and mosquito netting. 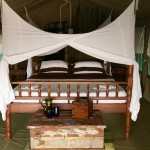 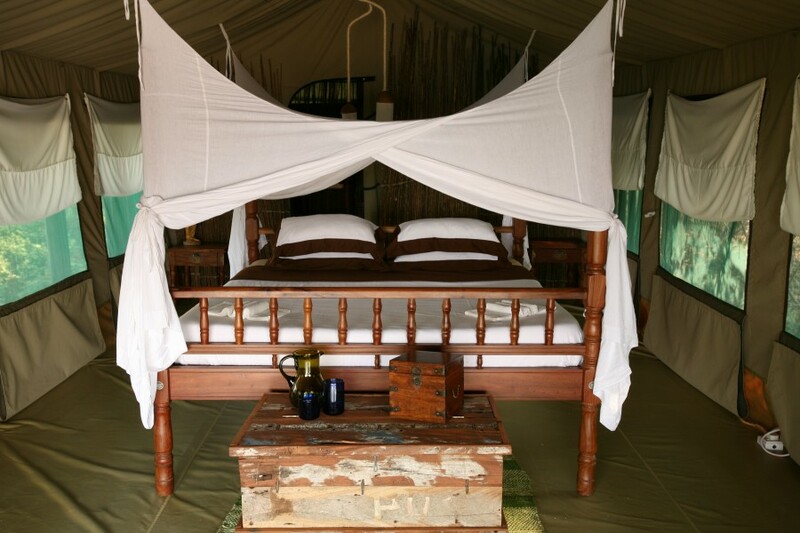 Each tent has en suite bathroom with hardwood floors (glassed in shower, flush toilets and hot water), bedside tables, writing desk with chair, roofed porch at front of tent with dhow chairs and coffee table. 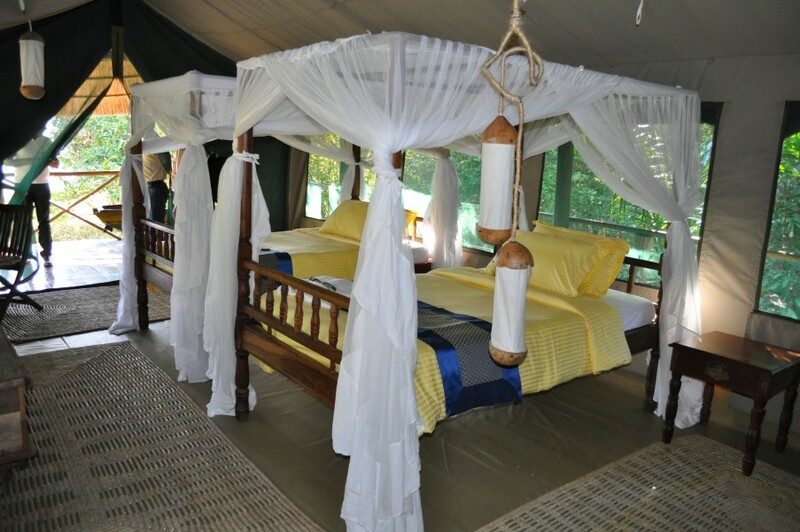 Facilities & Services: Open sided lounge / dining area constructed with hard wood and thatched roof, furnished with dhow couches and African antiques, sun loungers and umbrellas on the beach, jetty to lake, fishing, swimming in lake, snorkeling, kayaking, chimpanzee trekking, forest & waterfall walks, boat safaris.